A while back I bought some Mexican jumping beans for my kids. They were definitely for my kids, not me… uh, anyway. I think these are the coolest things. They aren’t really beans at all, but are the seed pods from a type of shrub. A small moth lays an egg in the seed pod and when the egg hatches the larva eats the inside of the seed until it’s hollow. 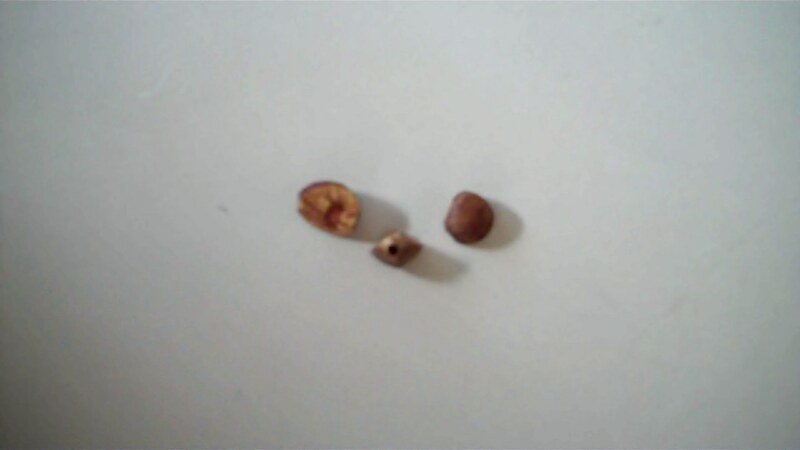 Then it attaches itself to the inside of the seed and makes a nice little home. If the seed pod gets too hot, the larva inside will twitch and makes the seed hop. The purpose of this is to move the seed away from the heat, which would dehydrate and damage the larva. If the larva can stay away from danger long enough it will eventually change into a moth, crawl out through a small hole in the seed pod and fly away. This seems a lot like each of us. We are each born with the light of Christ within us. It guides us in our decisions between right and wrong, happiness and misery, eternal life or damnation. When we find ourselves in a situation that will damage us spiritually, the light of Christ makes us squirm a bit and hopefully help us to hop out of the situation. Of course, we are free to fight against that guidance and remain in a situation that will eventually destroy us. But if we continue to follow that light, we will be guided to more light and more truth. We will be able to fully develop and become the amazing creature that God wants us to become.